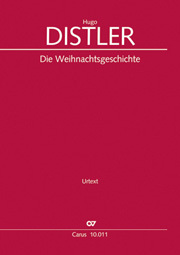 Like Hugo Distler's Weihnachtsgeschichte op. 10, in a deeply heartfelt style, his Christmas motets, written at various times in his life, sound as emphatically vivid in their expression. With madrigalian energy he evokes images of light, imbued with a powerful sense of hope. In the process he uses ancient mystical and Lutheran texts and melodies, and shapes the traditions in his own style. This edition contains new and alternative texts to extend the range of uses. 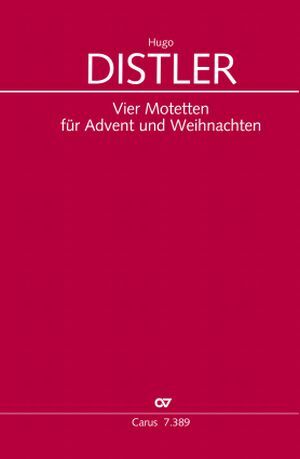 For example, the jewel among Distler's song-motets "Die Sonne sinkt von hinnen" with its new text can now be used during Advent.